Hai sobat Kipudin, Jika sobat adalah type orang yang suka ngeksis di sosial media utamanya di status whatsap berarti sobat berada di halaman yang tepat. Sebab kita akan berbagi quotes yang keran kalau sobat jadikan status whatsapp dalam bahasa inggris. 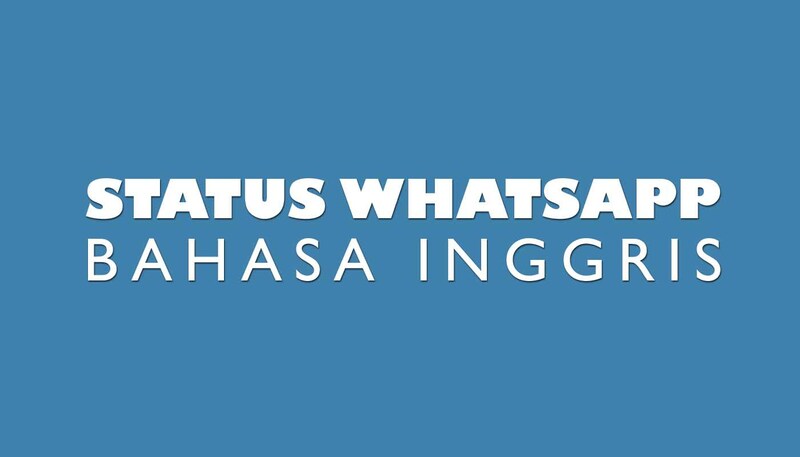 Semua list ini adalah status whatsapp terbaik karena super komplit mulai tentang cinta hingga galau juga yang lucu lucu. uh iya ini adalah kali pertama kipudin berbagi hal quote, nantinya akan ada update terbaru setiap beberapa waktu sekali, setuju? There is no reason to say I love you without a way to prove that it is undeniably true and sincere. The hardest part of acting like you don’t care, is knowing how much you actually do. Dear Ladies if he takes time to argue with you, he cares about you more than you think. Love is so strange.. sometimes it becomes reason to live life..!! and sometimes it becomes reason to leave life !! I love you more today than yesterday but I do love you less today than I will tomorrow. Sorry heart, but I am listening to my brain this time. I know better. Love is when you look into someone’s eyes and see everything you ever need.